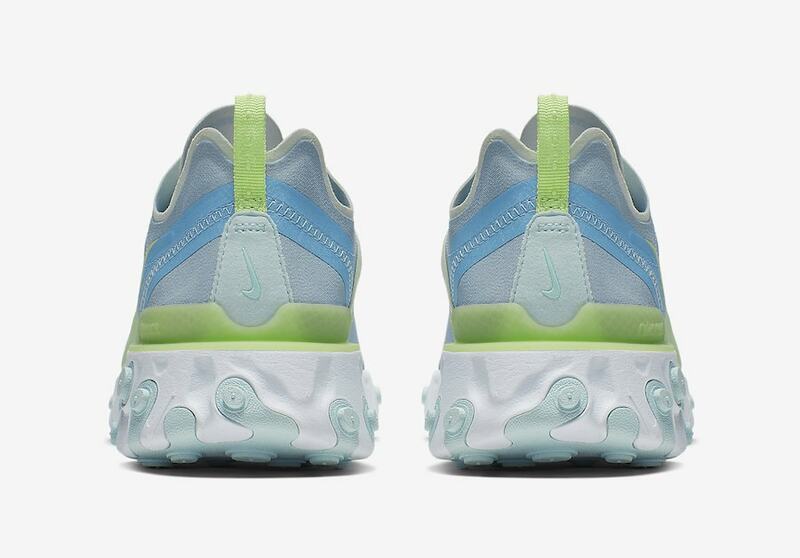 Nike’s React technology is barely a year old and already it’s made a respectable name for itself. With a handful of models readily available, the Swoosh taking some more time with the Element 55, introducing this new “Frosted Spruce” colorway later this month. 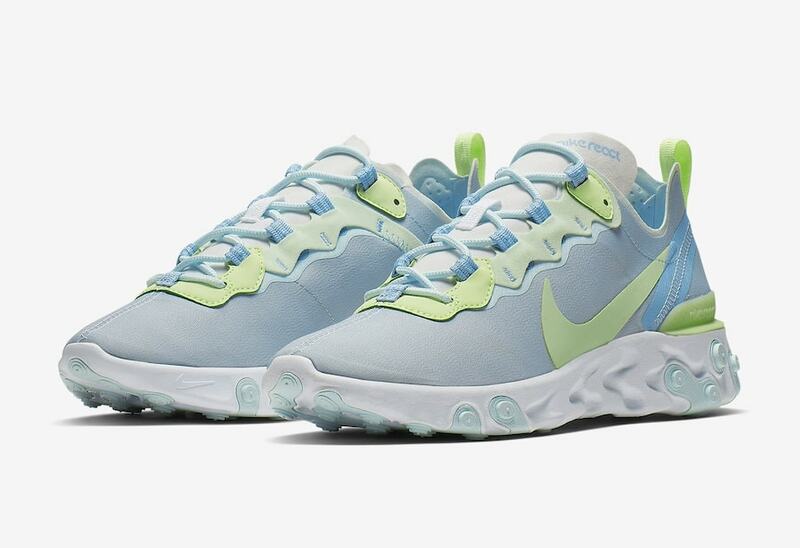 Nike React is slowly taking over the sneaker scene, with new models featuring the landmark tech debuting on a monthly basis. However, the front runner of the franchise is clearly the Element series. 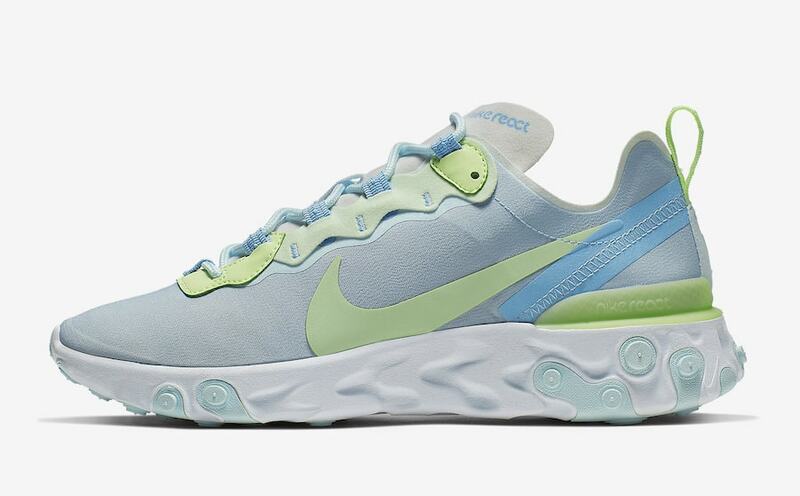 This week, we have another look at a new Nike React Element 55, coming soon. Made from much more durable nylon than the older sibling, Element 55 is built to last. Nike’s latest colorway of the Element 55 to surface online may be one of their best yet, while also one of the most simple. 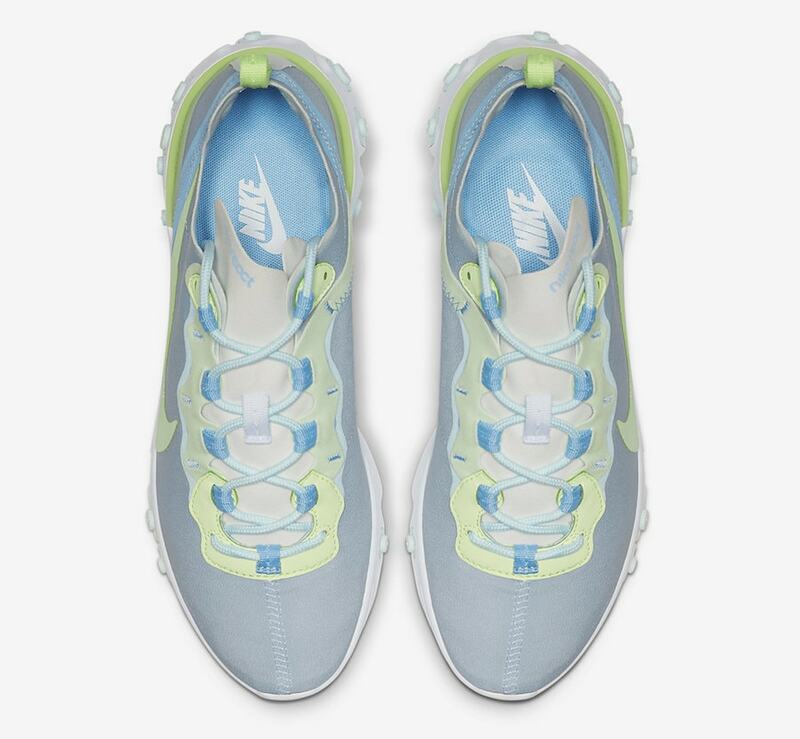 The new look begins a light blue tone across the upper, highlighted by bright volt green on the lacing system, Swoosh, and heel attachments. The React midsole comes in white, with baby blue accents for extra traction. 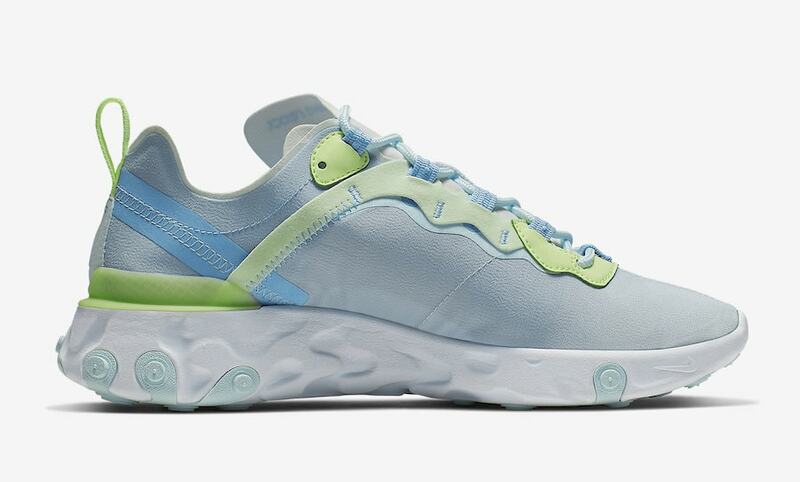 The new look for Nike’s React Element 55 has not yet been announced for release, though they are expected to launch soon. The “Frosted Spruce” look will retail for the same $130 as its counterparts, and release from both Nike and select retailers. Check out the official images below for a better look, and stay tuned to JustFreshKicks for more Nike Element 55 release news.